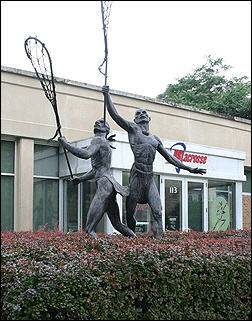 Lacrosse was invented by Native North Americans. 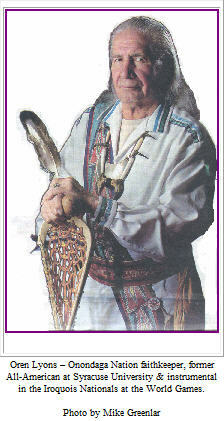 Its name was dehuntshigwa'es in Onondaga ("men hit a rounded object"), da-nah-wah'uwsdi in Eastern Cherokee ("little war"), Tewaarathon in Mohawk language ("little brother of war"), and baaga`adowe in Ojibwe ("knocking about of balls"). Every year thousands of new participants join the ranks of those who are passionate for the most ancient of indigenous games. 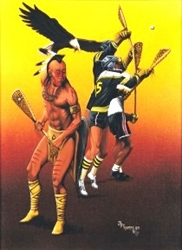 It is lacrosse, a special game – unique to the world - as it really is the only existing “team” game on the planet that is spiritual in nature. You feel that magical difference immediately when you pick up a stick for the first time. 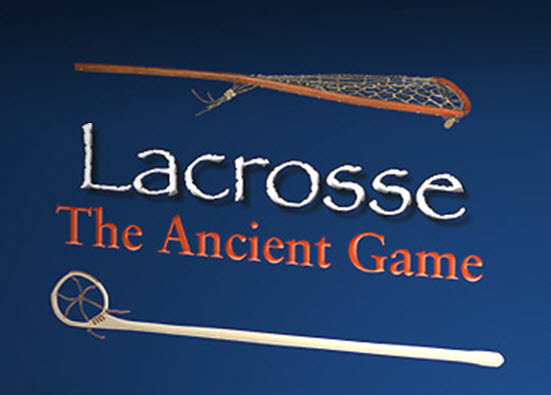 How much do you know about the origins and traditions of the game? Click the picture below to learn more.